Buying paint for kids or a classroom can be pricey! 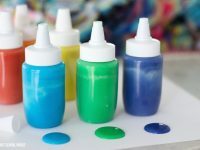 Never buy paint again with this 3 ingredient homemade paint recipe! This is a money saving DIY for parents and teachers on a budget (or for those of us who love being crafty!). In a mixing bowl, combine even parts of water, salt, and flour. I use 2 cups of water, 2 cups of salt, and 2 cups of flour to fill up our medium size paint containers (as pictured). 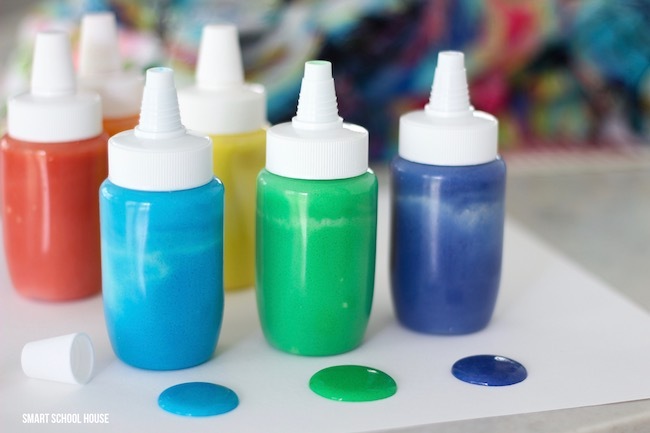 Once fully combined, funnel the mixture into paint bottles. 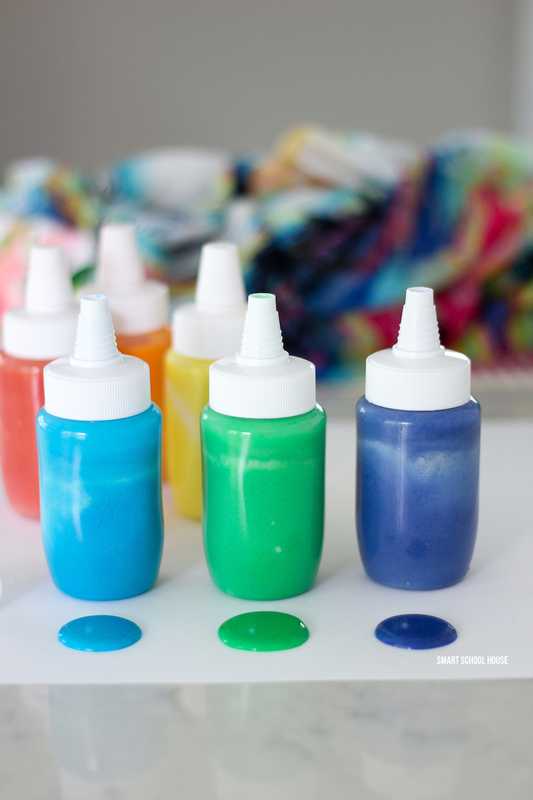 Place small drops of food coloring in each bottle. Shake the bottles to mix the paint. Continue adding food coloring until desired shade is achieved. Paint as usual! Paint will completely dry on paper. Store the paint with the lids on top. Paint will separate after sitting for awhile. Simple shake the bottles up again and they will be as good as new! 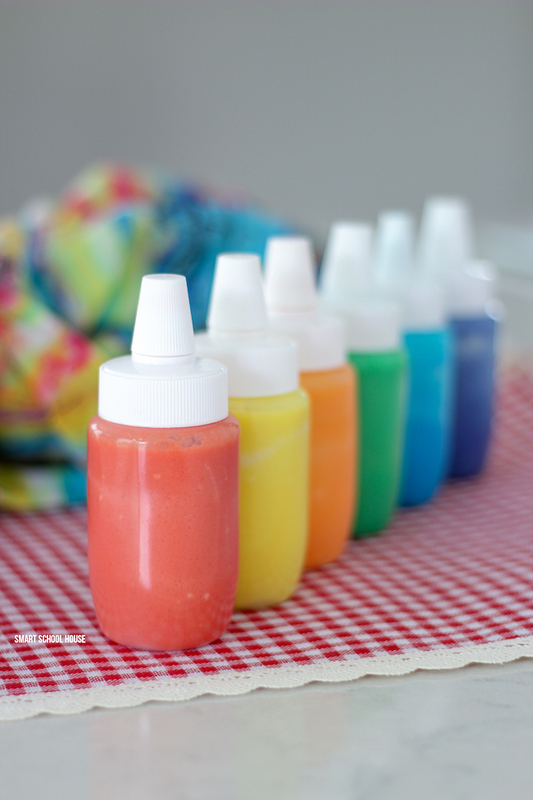 You might also like these homemade activities for kids too!